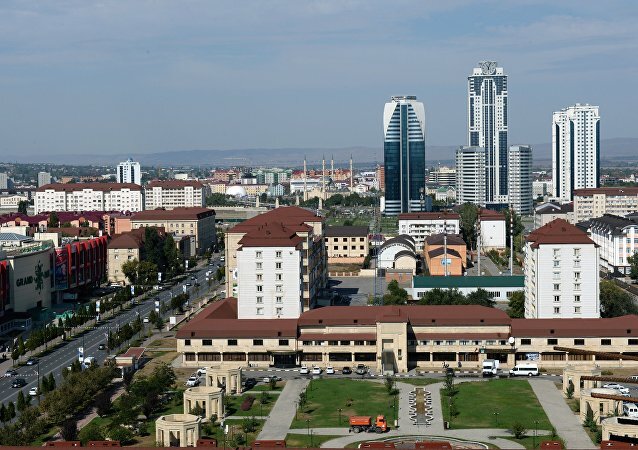 A female suicide bomber has blown herself up nor far from a police station checkpoint in Grozny, the Chechen capital, Interior Ministry said on Saturday. Two policemen and one churchgoer have died as result of a terrorist attack on a church in Russia's city of Grozny, a source in the local police department said. The rooftop of a condominium in the Chechen city of Grozny became engulfed in flames Monday, prompting the evacuation of more than 200 people. Thousands of protesters gather in the Chechen capital of Grozny, requesting Russian President Vladimir Putin make efforts aimed at stopping anti-Muslim violence in Myanmar. Athletes, public figures and politicians continue to comment on the scandal, which unfolded after the President of Russian MMA Federation Fedor Emelianenko made a statement against little children participating in ultimate fighting. Renowned Russian martial artist and actor Oleg Taktarov shared his opinion on this issue with Sputnik. International security officials are interested in the Russian-made complex security systems, the state arms exporter said Friday. The Russian Security Council estimates that some 90,000 people died in terror attacks over the past two years, the council's secretary said Wednesday. The Russian Investigative Committee on Monday opened a criminal case, following the suicide attack in the capital of Russia’s Chechnya region, the committee said in a statement. An innovative non-profit project offers a unique opportunity for a visa-free tour of some of the most scenic locations in Russia. More than 800,000 participated in a rally in Grozny, the capital of Russia's Chechen Republic, to support the republic's head, Ramzan Kadyrov, a local Interior Ministry source said. At least seven people were killed and two injured in a major car accident in Russia's North Caucasus republic of Chechnya, a local emergencies source told RIA Novosti on Monday. 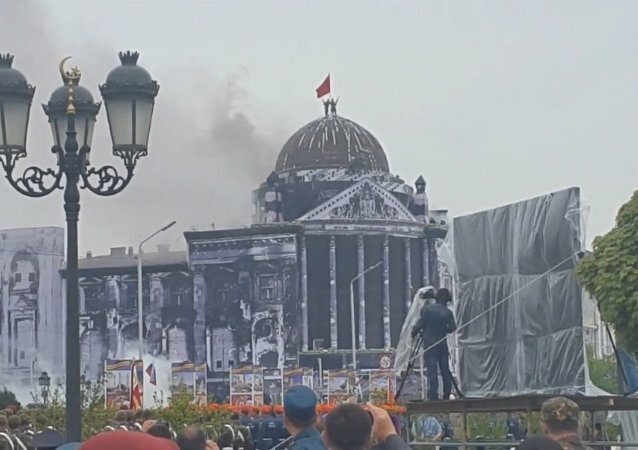 As part of Victory Day celebrations in Chechnya's capital, reenactors 'stormed' a building decorated as Berlin's Reichstag and mounted a Soviet banner on its roof. 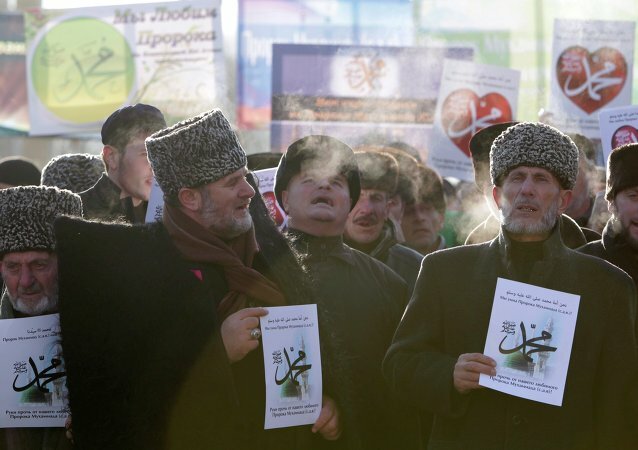 Hundreds of thousands of people plan to take part in protest against publishing cartoons of Prophet Muhammaf in Grozny, the capital of the Chechen Republic. Ramzan Kadyrov, leader of Russia's North Caucasus Republic of Chechnya, said that 11 militants have been killed during a counter-terrorism operation in the republic's capital according to the latest updates. A group of 50 experienced investigators and forensic experts has been set up to investigate a heinous attack in the Chechen capital, Grozny, that killed 10 and wounded 28 police officers. 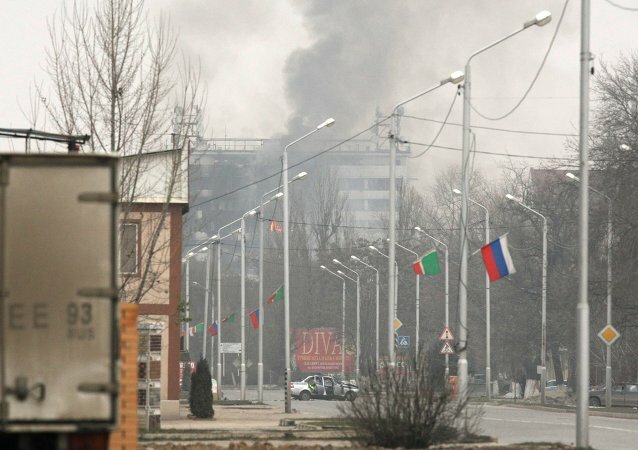 In the early hours of Thursday, three cars full of armed militants attacked a road patrol station in Grozny, in Russia's southern Republic of Chechnya. Security forces in the Chechen capital, Grozny, engaged in fierce gun battles with militants, who holed up in two buildings, including a school, after an attack on a traffic police checkpoint early Thursday. Local law enforcement authorities are sucessfully dealing with the terrorist attack that has taken place in the capital of Chechnya Thursday, Russian President Putin said. Six militants, blocked by Chechen police in the Press House in the center of Grozny, have been eliminated.